Christmas is definitely the most magical time of the year. Maybe not so magical now we're adults and actually have to work pretty much up until the big day, but I always like the plan a month of fun activities to get in the Christmas spirit. What could get you in the mood more than decorating the Christmas tree?! 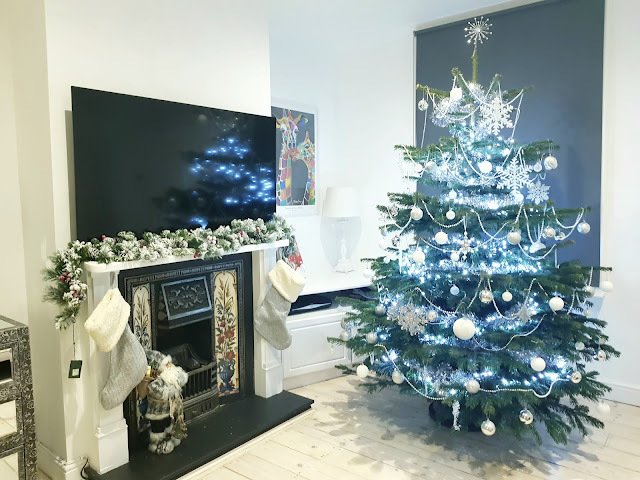 When I found out about Fantastic Services and their option to get a Christmas tree delivered in London, I jumped at the opportunity to try it out. The perfect tree is a big deal and I have to say I was dubious about what would arrive. Would it be too big? Too small? My biggest worry was would it be thick and bushy enough? My absolute biggest pet hate is a sparsely branched tree with big gaps. So obviously. 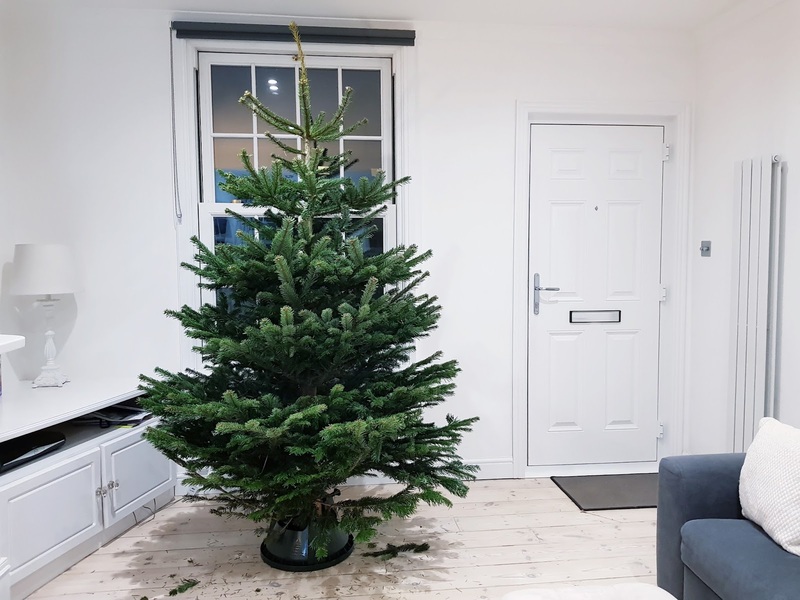 the inquisitive side of me just had to give it a go and see if it's worthwhile trusting someone else to pick the ginormous tree that stays in our living room for a whole month. I arranged deliver for 4.00pm on a Thursday afternoon and eagerly sat by my front door waiting for the time to come. 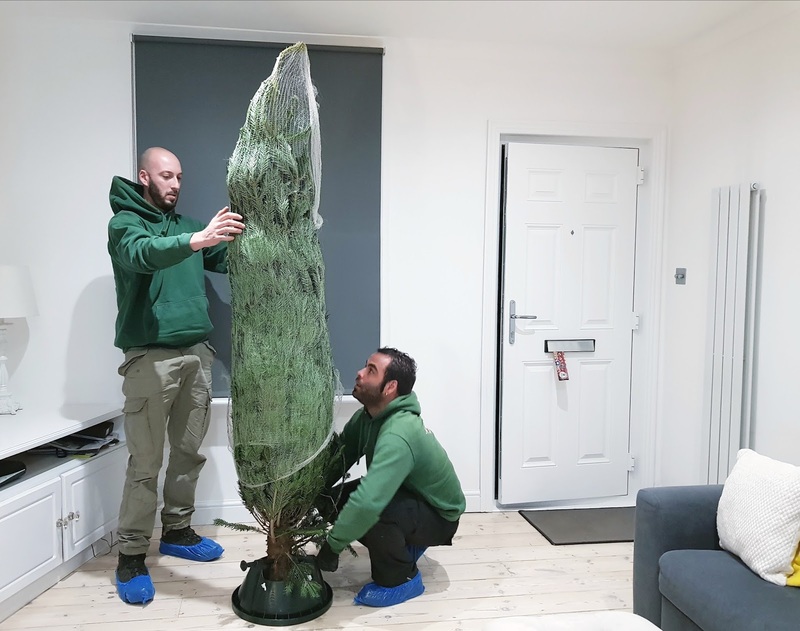 I'm not going to lie, I was extremely nervous, and didn't really know what to expect as I had never heard of a Christmas tree delivery service before. I got a text to sat the driver was running an hour late which I thought was very courteous and I had an opportunity to rearrange delivery which I didn't want to as I had the whole evening free. In the end he was only 25 minutes late which was a nice surprise as I like it when a service provider manages my expectations. Two men turned up in the Fantastic Services van and parked outside. They then got the tree out the van which was wrapped up in the netting and put the stand on it before carrying it in. I was so surprised how quick the process was, they were in and out within 10 minutes. They positioned the tree where we wanted, adjusted the stand to perfection and then cut off the netting for the big reveal. After the guys left, I think Luke and I just sat on the sofa and stared at the tree for a while because it was genuinely that perfect. 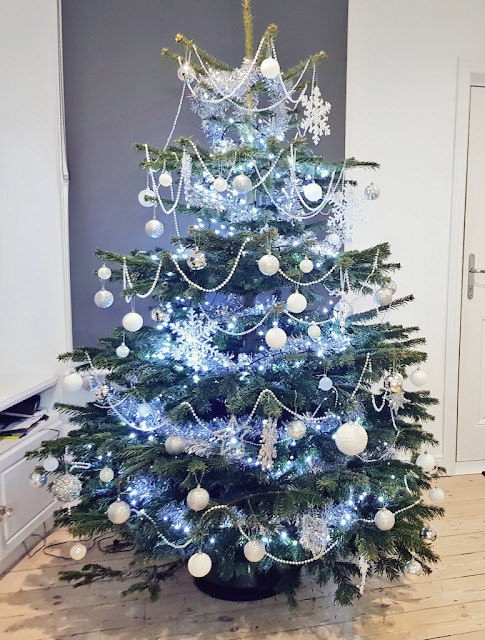 My memories of real Christmas trees are of going to pick them out with my family when I was younger but I could rarely find a perfectly shaped one. They were too fat and stumpy or too sparse or too lopsided. But this one, was perfection. Unfortunately I had to wait a couple of days before I could decorate it as I was ill with the standard dreaded winter viruses and I wanted to be able to enjoy it but Sunday morning, I got up, watched Home Alone and then put on Christmas music and spent the whole afternoon decorating and eating Christmas biscuits. Luke and I then cooked a roast and spent the rest of the night on the sofa in awe of our tree. Even now, we're still obsessed with it. We actually had to wind back the TV show we were watching earlier because Luke said 'sorry, I was distracted by the tree, I can't stop staring at it', which made me laugh. I am absolutely over the moon with the quality of the tree. It's been up a week so far and hardly any needles have dropped and it hasn't started drooping yet. The shape is still in perfect condition, and it literally couldn't be any more perfect. The service from Fantastic Services really was great and it's such a great idea for people who don't have a car/don't have a big enough car but want to get a real Christmas tree - because let's face it, nothing says Christmas like that Christmas tree smell. 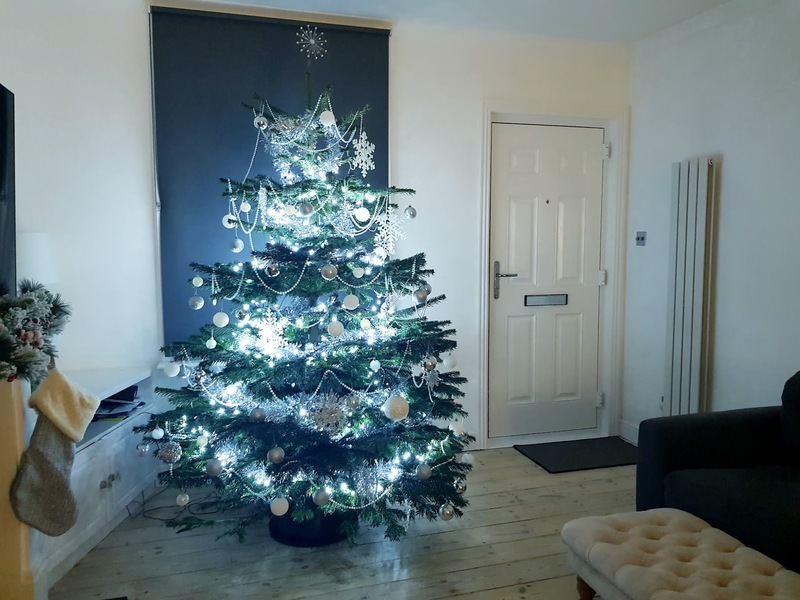 Fantastic Services don't just deliver Christmas trees, they can help our with cleaning, gardening, handy men, tradesmen, builders, removals, waste removal and pest control - all of your house and garden related needs. 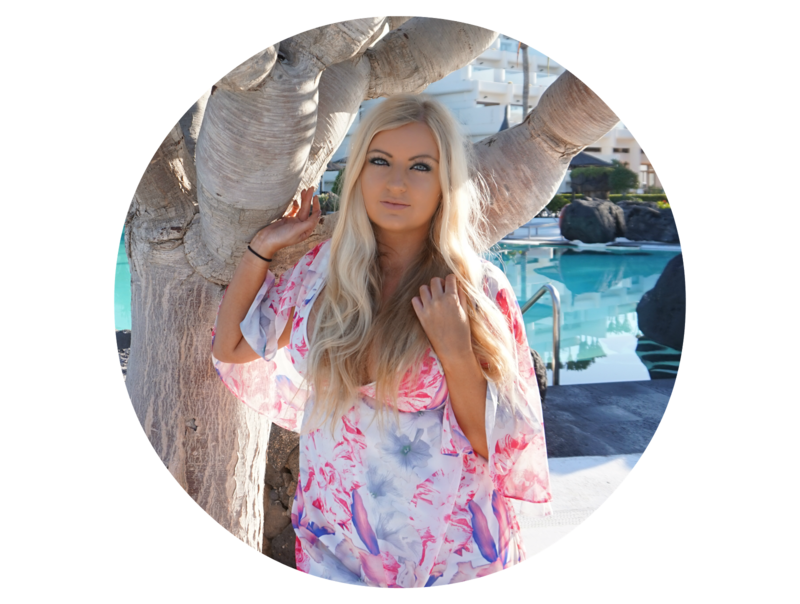 You can find out more about them here. And it's not too late to order your tree for this Christmas! If you're interested, check out all the details here.